Picture a warehouse full of mellow West Coast country-rock LPs from the 1970s. Imagine all those records being loaded into a gigantic “Star Trek”-style transporter and beamed to Alive Naturalsound Records in Burbank — where a malfunction causes them to rematerialize as a single platter called “Pacific Surf Line,” by a new group called GospelbeacH. In a way, albums by the Byrds, Buffalo Springfield, the Monkees, Rick Nelson, Poco, Pure Prairie League, America, Loggins and Messina, Firefall and others did mutate into this new and wonderfully anachronistic release. 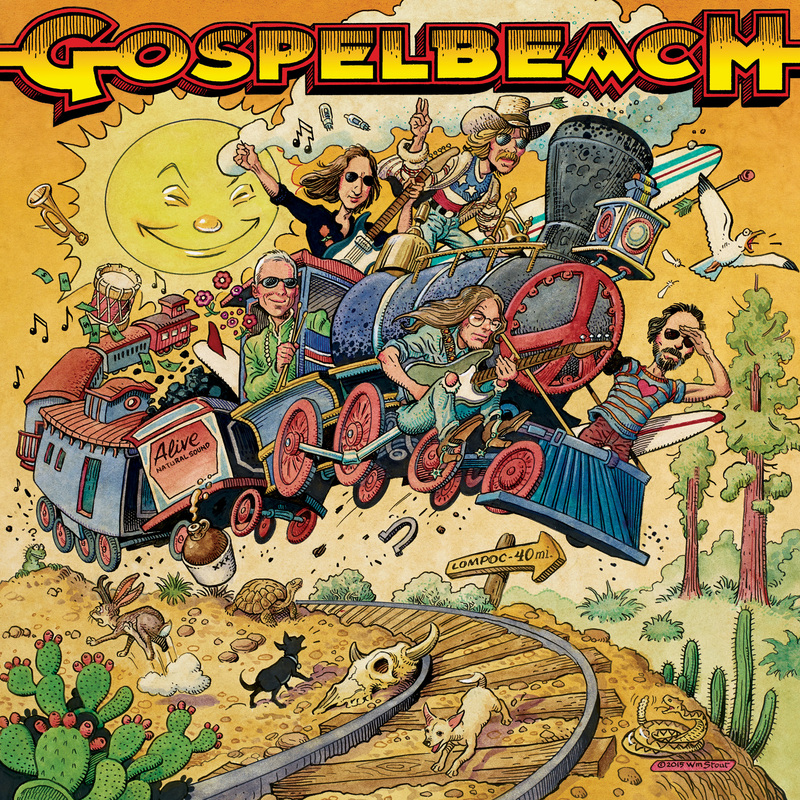 GospelbeacH is a retro supergroup made up of singer Brent Rademaker and drummer Tom Sanford (both of Beachwood Sparks); guitarists Jason Soda and Neal Casal (Everest/Watson Twins and Ryan Adams/Chris Robinson Brotherhood, respectively); and bass player Kip Boardman (Watson Twins/Ramsay Midwood). Whereas Rademaker’s old group was more of a psychedelic country-rock band, GospelbeacH favors the straightforward variety while occasionally drifting into easy-listening/pop territory — such as on “Your Freedom,” with its twin flute-guitar lines recalling works by Jesse Colin Young and the aforementioned Loggins and Messina and Firefall. The most overtly country-rock numbers are found in the opening one-two punch of “California Steamer” and “Sunshine Skyway,” especially the latter with its pedal steel guitar à la Rusty Young. Other songs — such as “Come Down,” “Southern Girl” and “Alone” — illustrate the “beach” in GospelbeacH via guest harmony vocals by Nelson Bragg of Brian Wilson’s band. No matter how it’s sliced, “Pacific Surf Line” will put a “Have a nice day” face on even the most jaded listener.